CRATE is pleased to present a new work by artist Harry Chapman to kick-off a series of related events that fall somewhere between offering a methodology and means to re-think the positivised 'full-presence' of the performing body, especially when our current social life is being put to work constantly without value. 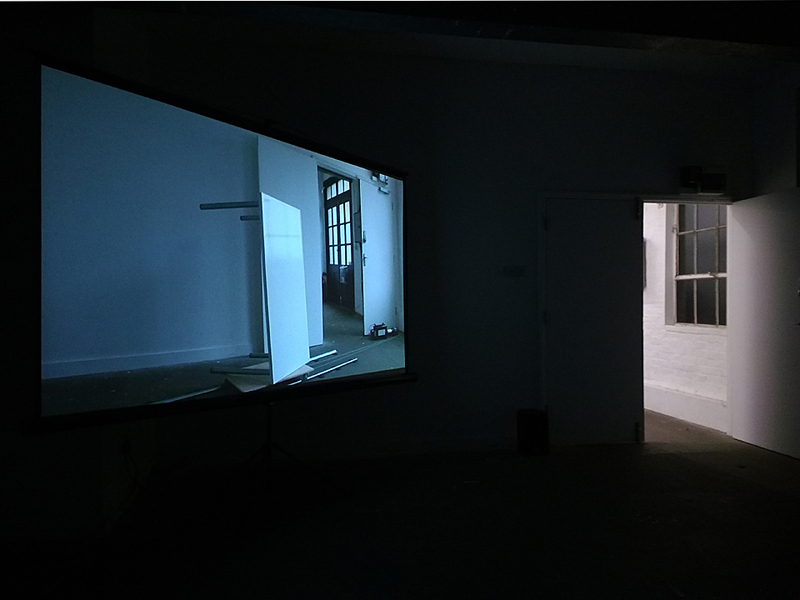 Double Parallel is a looped projection work predicated on the axiomatic function of moving-image – being both recorded and played back at the same speed. The material of the work is therefore its composition, rather than the time and space which passes for its content. As a principle or score, Double Parallel maintains a paradoxical relation to the site at CRATE - in which it is both autonomous and contingent on any given future realisation. To the extent that this work is concerned with an immediate relation between its realisation and its exhibition, its material is synonymous with that of performance; with the difference that it consists entirely of its own documentation. Since graduating in July 2012 Harry Chapman (b. 1988, graduated Central Saint Martins (BA Fine Art, 4D)) has worked on an independent basis between London and Europe. Whilst studying, the principal form of his work was performance - concerned in particular with non-mediated processes and simultaneity. During the time since graduating Chapman has realised a number of pieces of work on digital video, recorded directly to tape and played back from tape - as well as exhibiting some of his work at an independent space in central London (a.m., 10 Copperfield St.l, SE1 0EL). There is a direct (as opposed to implicit or biographical) relation between Chapman's earlier work in performance, the work on digital video tape, and more recent work made in relation to a score – as at CRATE.